Patrick's sister spent the weekend with us. Our new space is still very much "under construction", so we threw together a cozy sleeping tent for her on top of our new work table. 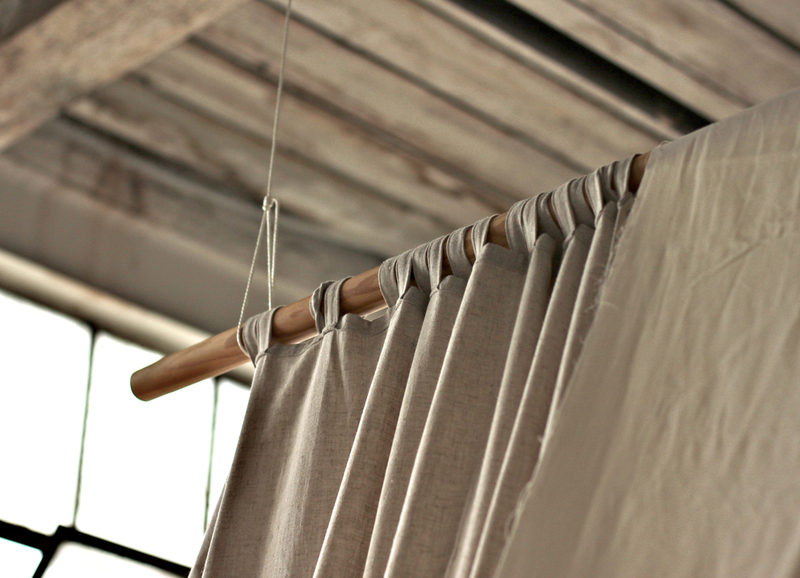 Pieced together with an old dowel we used for our Brooklyn Flea display, linen curtains we made for our old apartment, a piece of muslin, few pieces of pine, clamps and some string.